Hi all! Today I am sharing my 7th and final card for my Holiday Card Series for 2015! Today I wanted to use the set from Lawn Fawn called Tobbagan Together - which I haven't used yet! It is one of my favorites from the release before their Valentine release. I started out by creating my sky with some Distress Inks onto a piece of water color card stock. Then, I die cut a lot of elements from the Lawn Fawn Stitched Hillside border dies and the Mama Elephant Snow Capped Mountains dies. 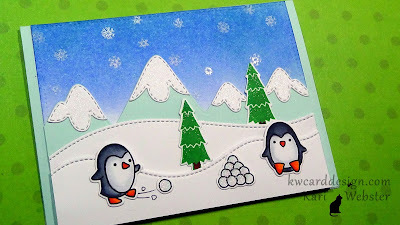 I then took the two penguins from the Tobbagan Together stamp set and stamped those with Memento Tuxedo Black ink and did a little Copic coloring. 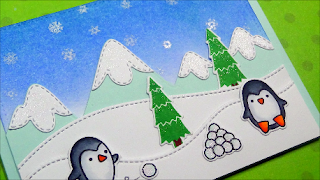 Once I was finished with coloring in my images, I used the coordinating dies to die cut them out, and then I started to put together my scene. As always - I have the products I used listed below as well as the video tutorial!! 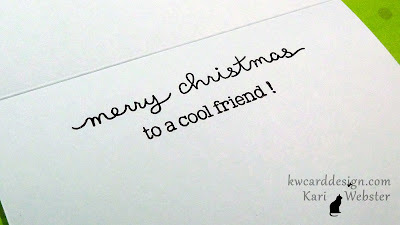 And, for my sentiment I decided to just stamp it on the inside!! 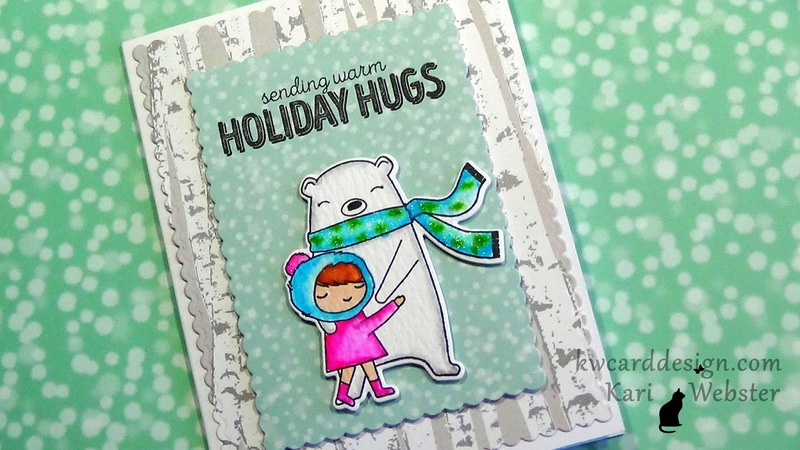 This is Day 6 of my Holiday Card Series for 2015! 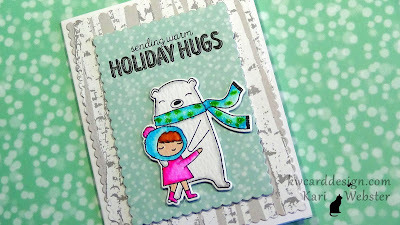 I have been itching to use this adorable set from WPlus9 called Holiday Hugs, and I also wanted to use some Zig Clean Color Real Brush Pens to color my image in. This was the first time in my using them - so it was fun trying them out. 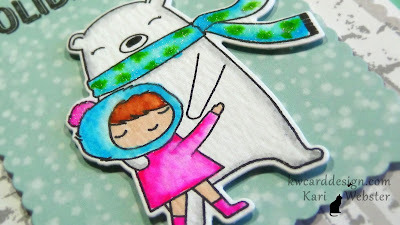 I also used some pattern paper from Lawn Fawn, and Websters Pages that was from last year. 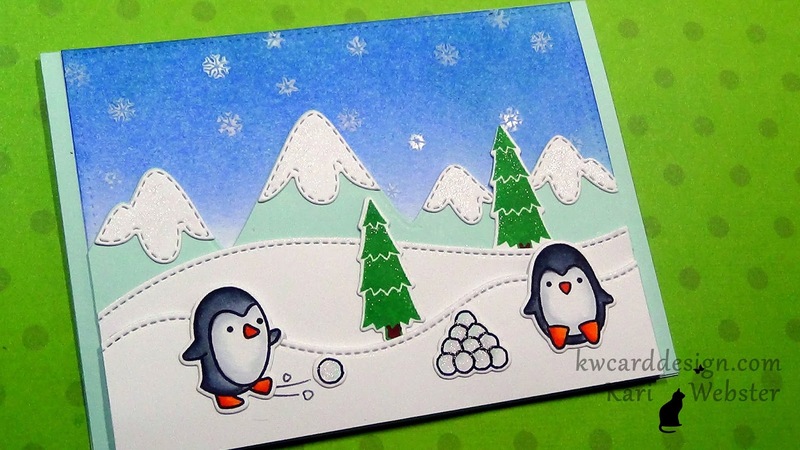 Love the birch trees! All supplies used are listed below!! Enjoy the tutorial! Thanks for stopping by!